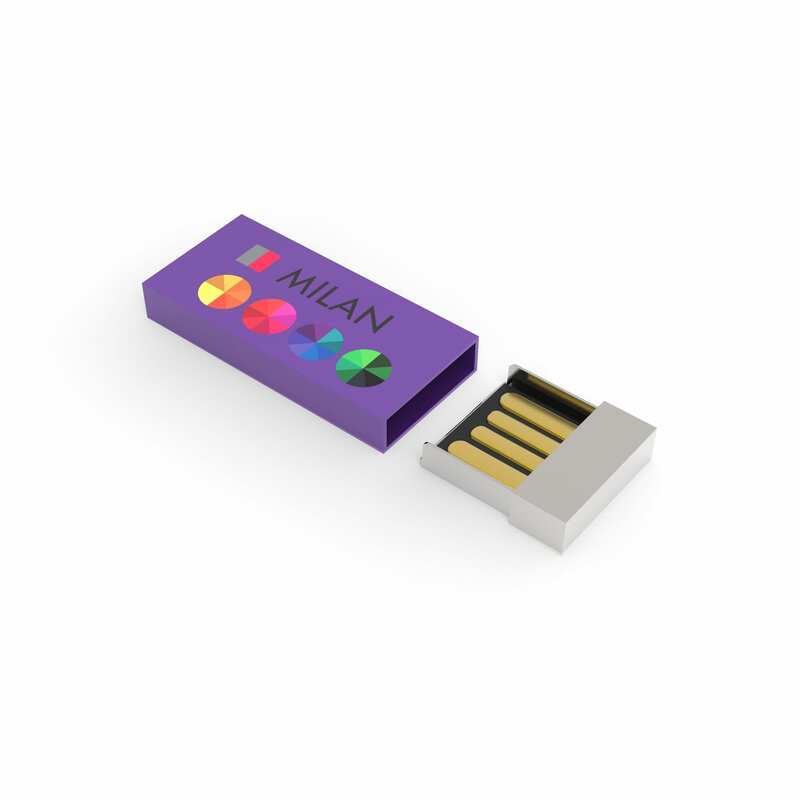 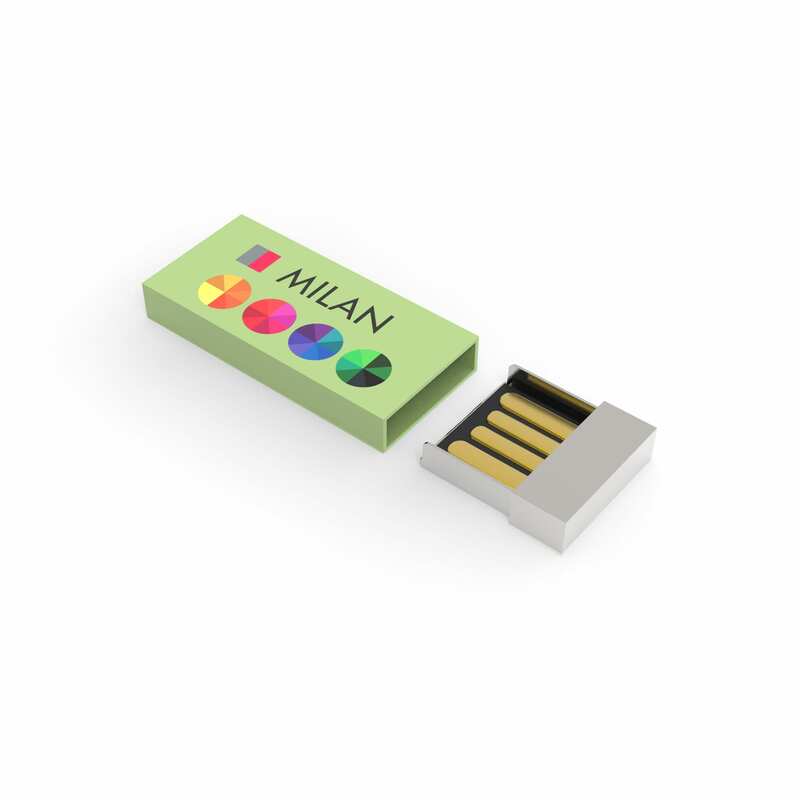 USB Milan, clean lines and magnetic cap. Very smart and minimalistic design. A fine matt housing from (anodized) aluminium offers enough space for personalization. The micro USB chip is integrated in a glossy chrome cap. An invisible magnet holds both parts together.